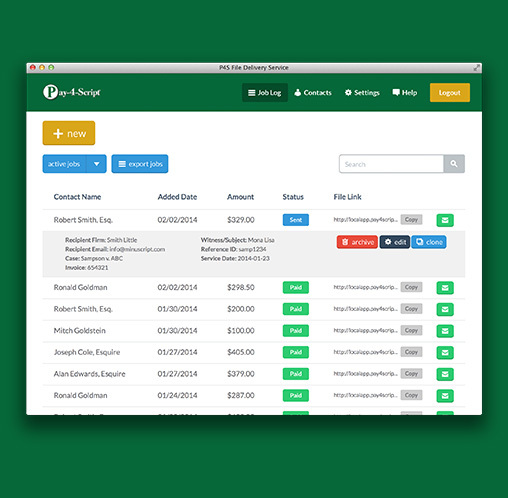 Your Invoices and COD’s Paid Faster and Easier! 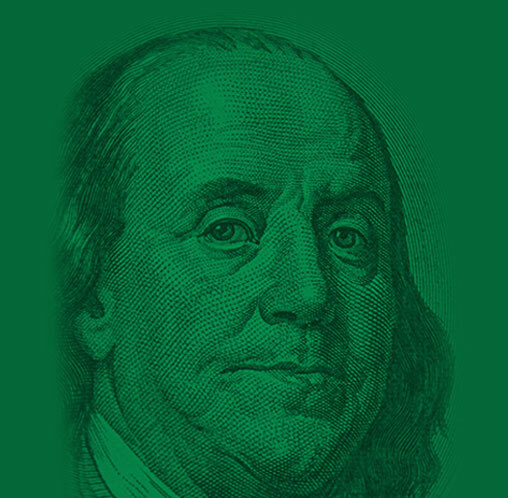 Our PayPal National Account Program Delivers Outstanding Features & Huge Savings! 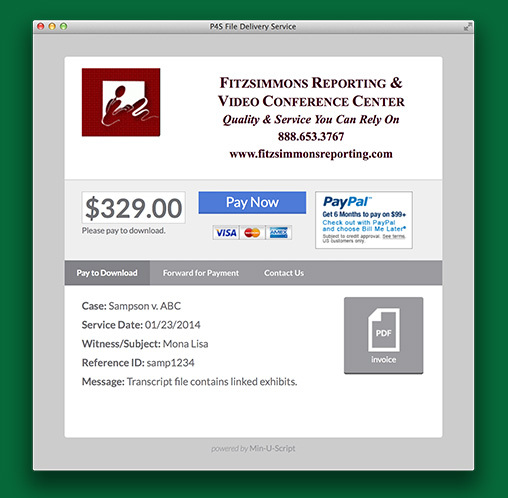 NOW, you can easily, securely and professionally present and track all your invoices, including instant download link for COD clients, with your customized On-line Payment Processing Center (no website required). Pay-4-Script offers you, and your clients, a host of powerful, “one-of-a-kind” features all designed to efficiently and effectively GET YOU PAID FASTER! The best in payment options for your clients, including all major credit cards, on-line check payment, even 6 months interest free with PayPal’s Bill Me Later. Fast availability of your funds directly to your bank account. Huge Savings over other Merchant Programs including PayPal. Setting up your Pay-4-Script Account is simple, fast (48-72 hours) and very economical… ALL AT THE LOW PRICE OF $12/Month. (plus one time set-up fee of $99). 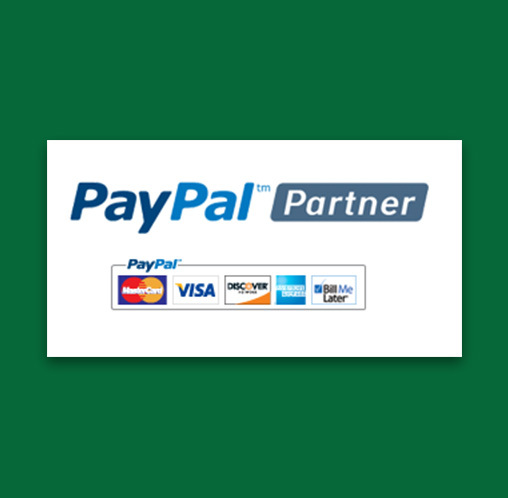 The Pay-4-Script/PayPal National Account Program provides simplicity and personal service though our dedicated PayPal merchant services team as well as significant savings over all other merchant services programs. No traditional monthly merchant account fees! ALL AT THE LOW PRICE OF $12/Month. (plus one time set-up fee of $99). 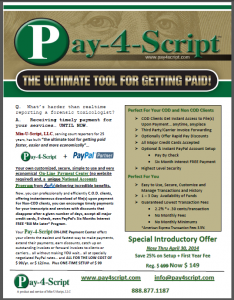 Are you ready to get started with Pay-4-Script?